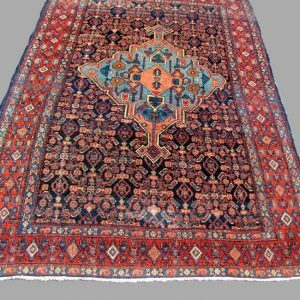 This is an Antique Persian Heriz Rug from the 50’s or 60’s. 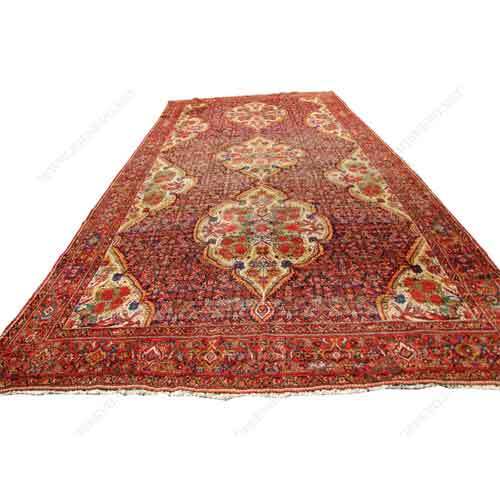 This rug has a beautiful red and ivory colors with quality wool and dye. 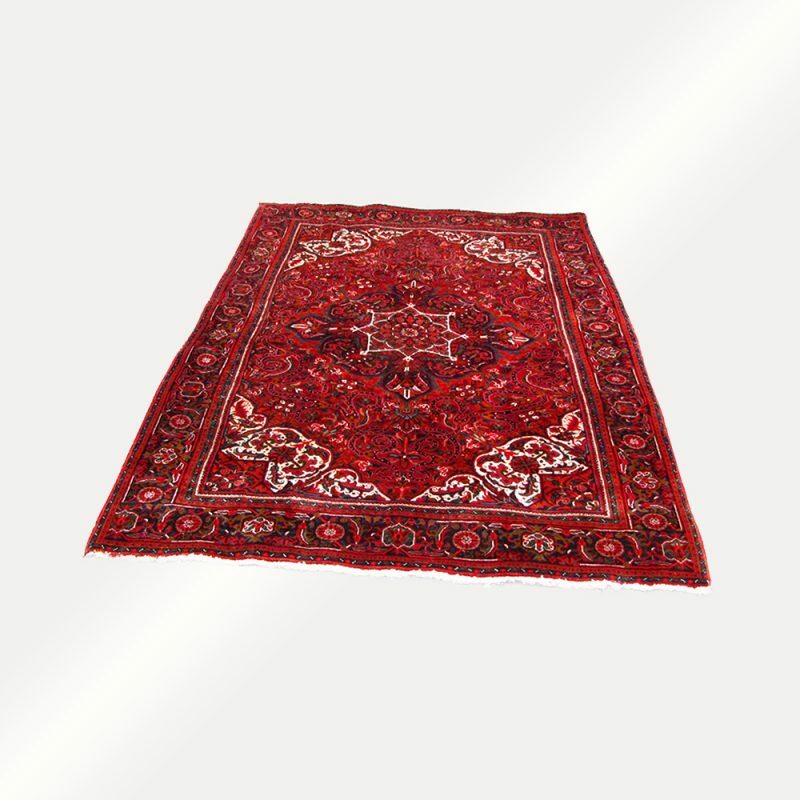 Most Heriz rugs have an orange/red color, but this one has a nice bright red color. 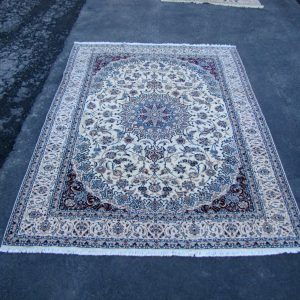 The contrast between the red and ivory colors make this rug very attractive. 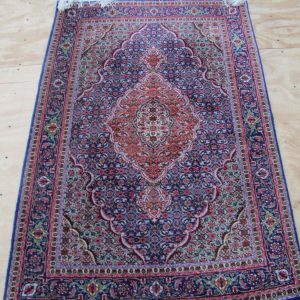 This rug is a rare size and looks like it has hardly been used with a full pile. This rug has an excellent weave and is a great rug! ***Add 1 inches to each end for the fringe.